At CHOC Children’s, we know that research saves lives. That’s why our Research Institute has over 350 research studies in more than 30 specialties to provide your child with access to leading-edge treatments. Our scientists translate the latest advances in molecular profiling, including whole genome sequencing, to meet the individual needs of our patients at every stage of their young lives —from infancy through adolescence. We understand that it’s important to conduct research directly with children and adolescents in a facility such as CHOC, that is devoted exclusively to the care, quality of life, rights and safety of children of all ages. 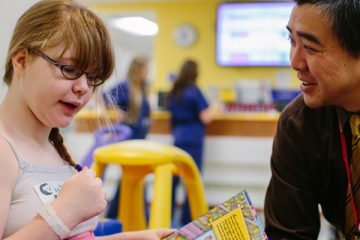 At CHOC Children’s, we are dedicated to providing patients the very latest breakthrough treatments available to children, adolescents and young adults. Our efforts bring hope to patients with rare conditions, or conditions not responding to traditional treatments. The CHOC Children’s Research Institute was formally established in 2003, after years of active participation in pediatric clinical research. 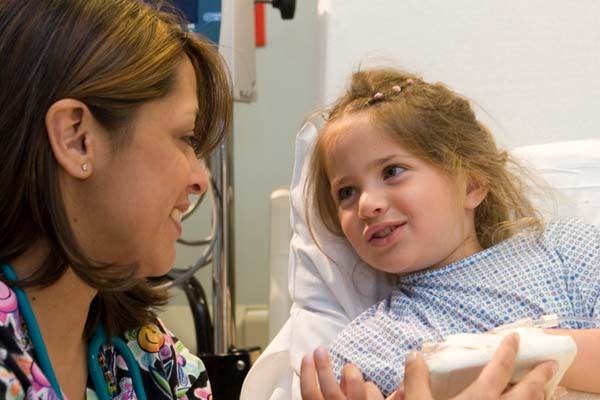 Today, the Research Institute supports more than 350 active human-subject research studies across nearly all of our pediatric subspecialty areas. 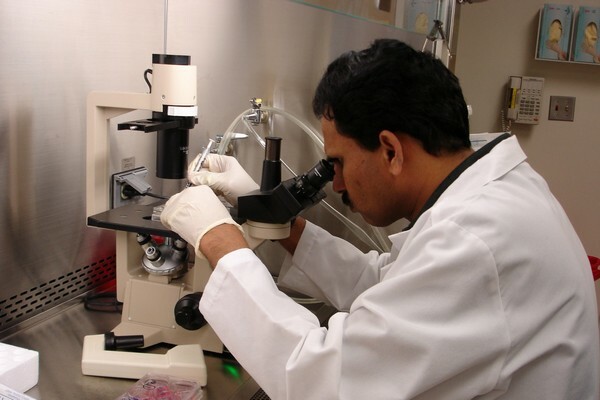 The Institute’s Sponsored Projects and Research Compliance offices administer and oversee federal NIH, California State CIRM, private foundation and donor funding in support of translational and clinical child health research. CHOC’s affiliation with the University of California, Irvine and our active collaborations with top academic institutions from around the United States expand our access to leading-edge research projects and resources. Our patients, and indeed children worldwide, benefit from these diverse efforts – bringing breakthroughs from the lab to the bedside. Since March 2016, Katha and her mother have traveled from Canada to CHOC every other week to participate in a yearlong clinical trial. While the travel is challenging, McGregor says it is definitely worthwhile. Read Katha’s story. Nurses are the heart of CHOC’s staff and have the greatest opportunity to make a difference in patient care. They are dedicated to enhancing pediatric acute, critical and ambulatory care by striving for new and improved best practices. All CHOC RNs are encouraged to engage in research, evidence-based practice, innovation and quality improvement. The Research Institute is committed to delivering comprehensive service, from pre-award assistance to post-award management. We make every effort to accommodate individual researcher's needs and schedules within the resources of our office, and we act as an advocate for the faculty and the university in the research process. CHOC's Research Administration office is a valuable resource for the CHOC community, providing expertise and highly specialized service in the important area of research management. Information you need for proposal preparation. Dr. Phil Schwartz, CHOC senior scientist, explains how autism is currently is being diagnosed and how new new research may lead to diagnosing the disorder with a simple blood test. Leonard Sender M.D., Medical Director of the Hyundai Cancer Institute at CHOC Children's, talks about clinical trials for cancer patients. In this video, Dr. Diane Nugent, CHOC medical director of hematology, talks about why research matters at CHOC Children’s and how this research helps children in our community.